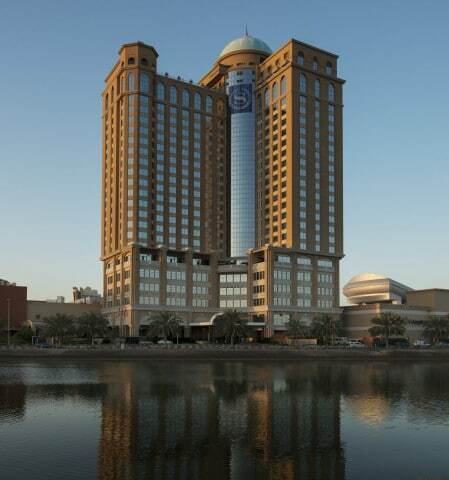 Directly connected to the world-renowned Mall of the Emirates, the Sheraton Dubai Mall of the Emirates Hotel is a gathering place for corporate travelers, vacationers, and shoppers alike. It is also within walking distance, interconnected to the Mall of the Emirates Metro Station. The hotel is centrally located, with easy access to such destinations as Jumeirah, Dubai Marina, Jebel Ali Free Zone, and Dubai World Trade Center. During your stay, the mall offers many leisurely activities at Ski Dubai, DUCTAC, VOX Cinemas and Magic Planet. INDEX Hospitality is the Official Housing Bureau for INDEX Holding. INDEX Hospitality is also the department in charge of handling all kinds of travel logistics for INDEX Conferences and Exhibitions which is responsible for hosting major events in Dubai and Abu Dhabi like AEEDC, DUPHAT, DIHAD, Dubai Derma and other large scale exhibitions. INDEX hospitality tries to facilitate in providing the best offers and deals in travel management for its clients on their trip to UAE.